Typical higher lever French kitchen, very classical schooled. It was recommended by a good friend from Budapest, so we had to check it out for sure! 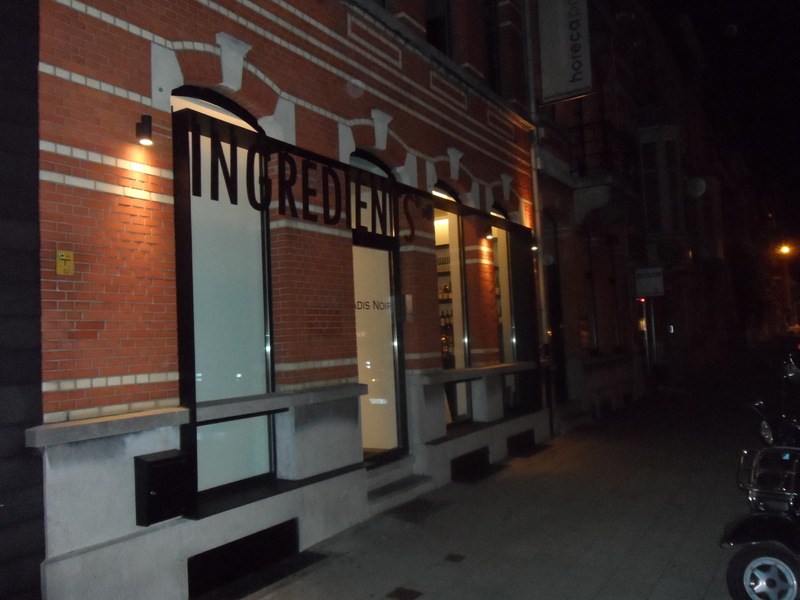 We had a menu, made and recommended by the chef Jo Bussels, who was trained over the years by many well known chefs around the world. What did we eat? Amuse: trio with duck paté, black pudding tarte tatin (up-side-down tart) and a small celery soup. 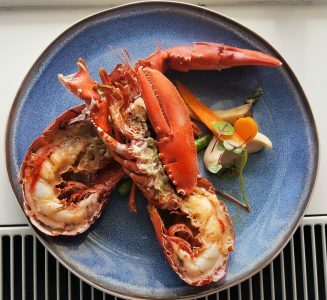 To be honest; I was pretty much flabbergasted about these dishes. Maybe I expected to much? The Paté was tasting just wrong, strangely bitter, do not know why. The black pudding taste was very good, but it was totally dried out, almost warmed-up it seemed and the soup was supermarket quality, no skill or unique taste at all…. Sorry to be so negative, but that is my honest feeling! 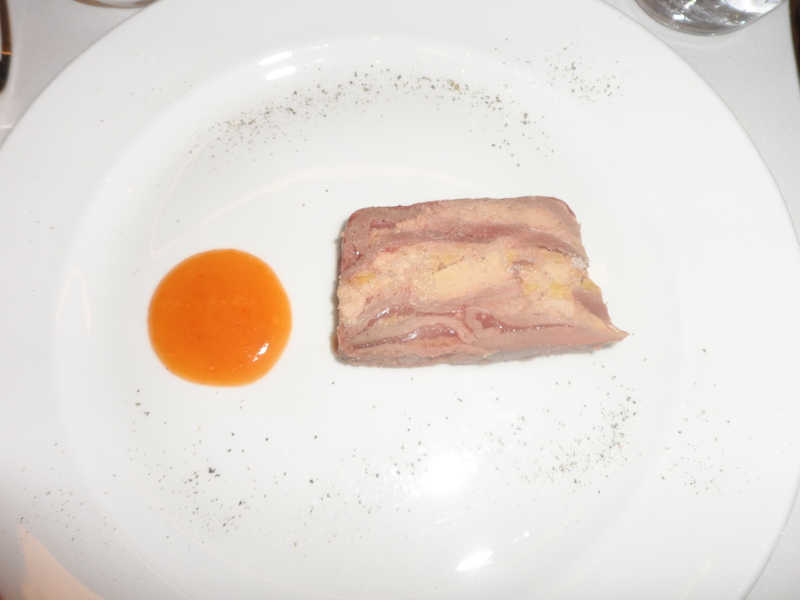 Then the first course was a duck terrine with foie gras and apricot jelly. Just look at it, it did not invite me at all to eat it. 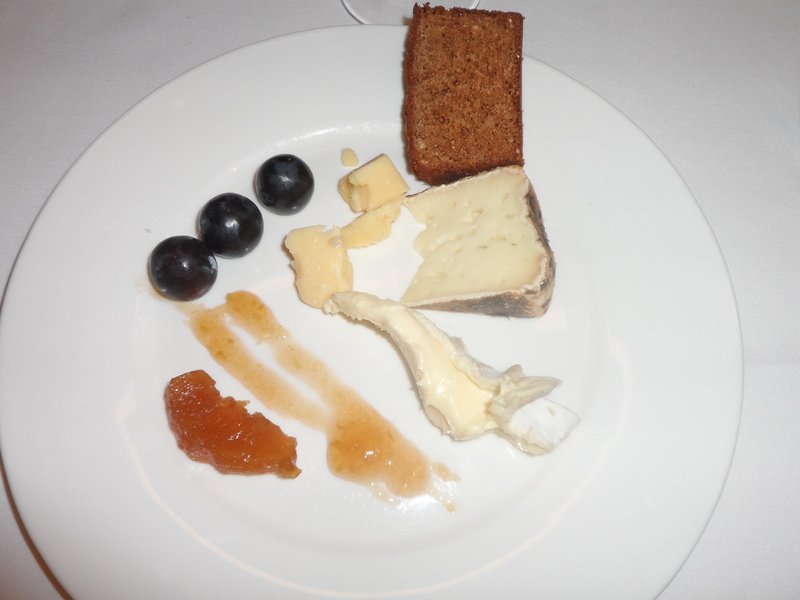 I know it is a classic presentation and all about the food and it’s taste, but for me it was just appealing. Also the taste did not do it for me and felt like “lazy” cooking. 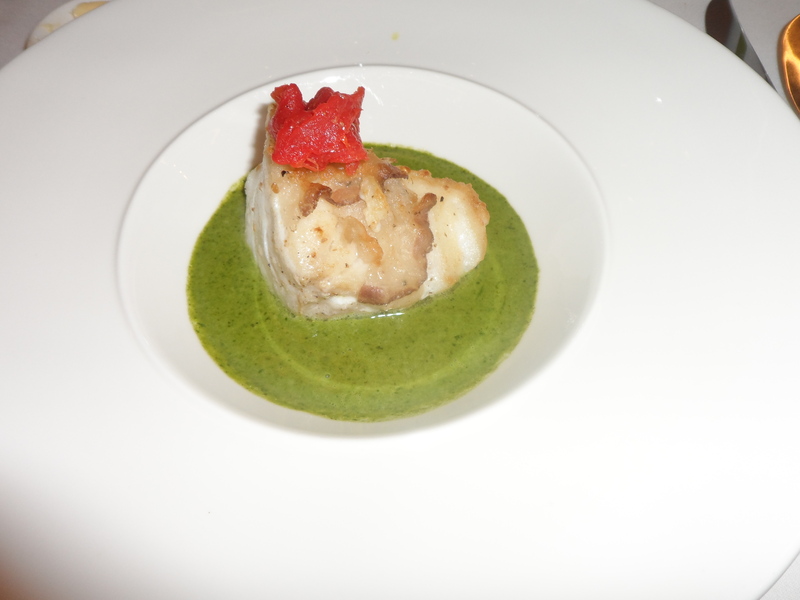 Luckily it was followed by a marvelous cod fish in a ‘coulis’ of watercress, with a little candied tomato. Good in taste perfectly prepared, maybe just to much butter in the sauce…. 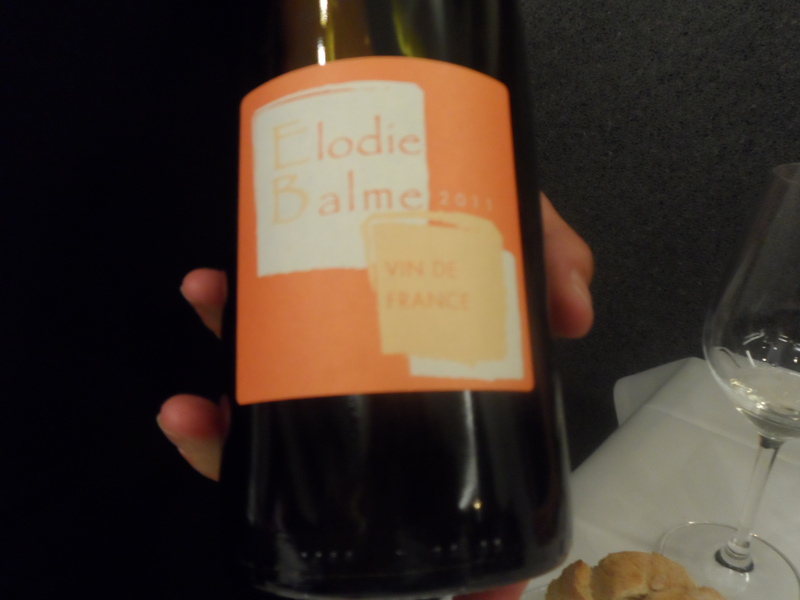 Also the wines are very good and often unexpected local choices. 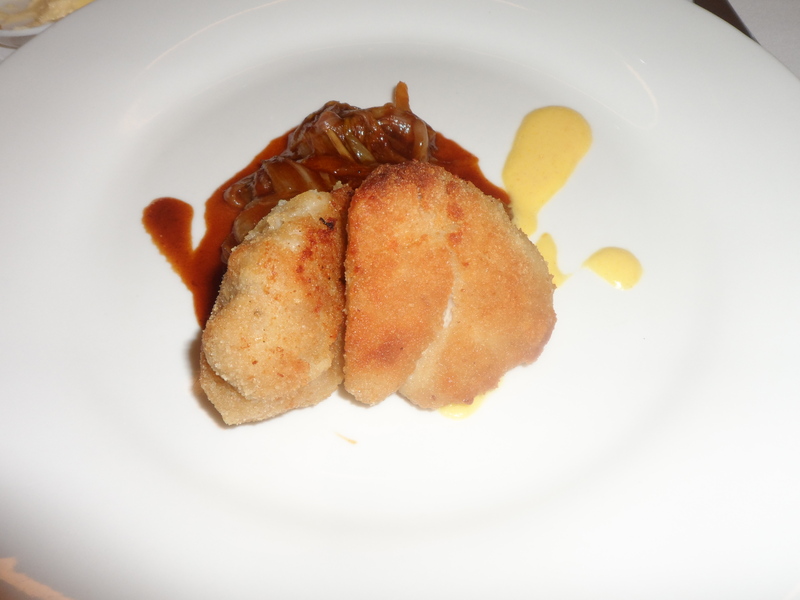 Then we had the main signature dish, sweetbread the classical way. It was good, it was crispy and it was what it should be. Not the best ever, but still remarkably good. 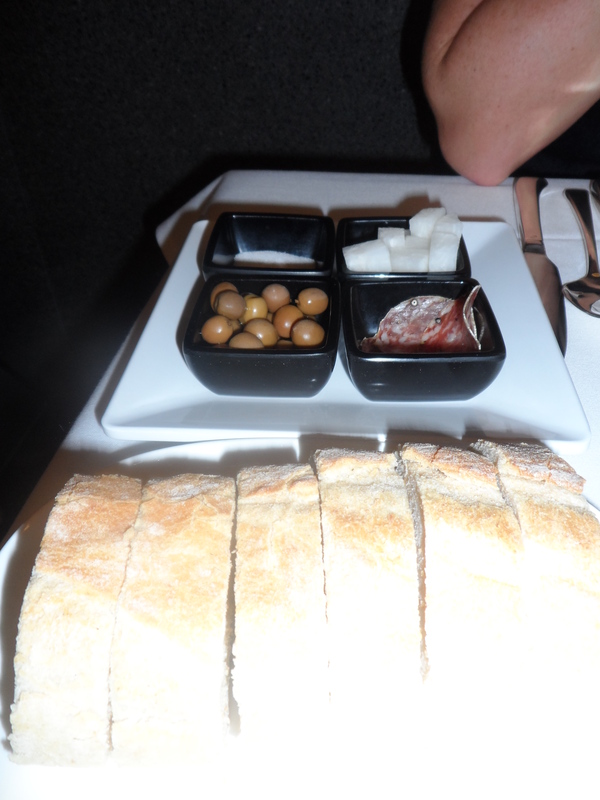 Especially all side dishes such as caramelized loaf and a very special sherry / Matla sauce, yummie! 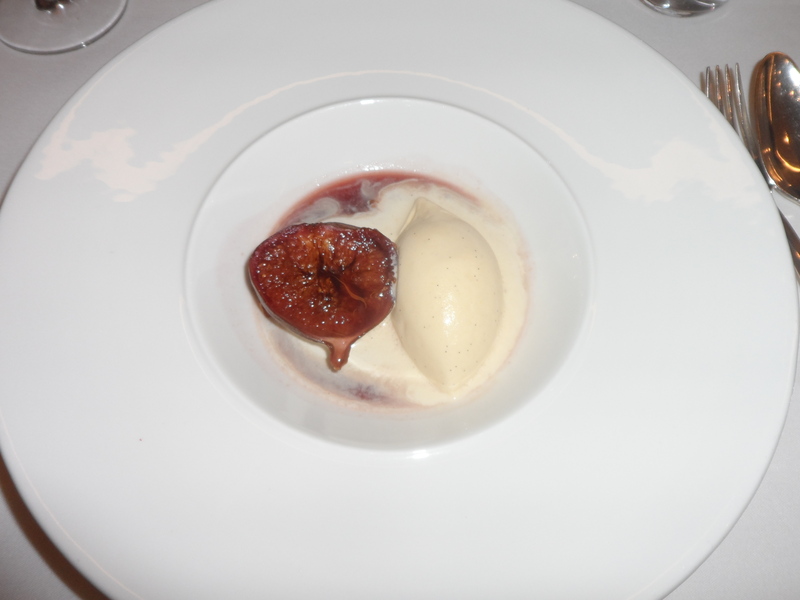 The last part was again to basic, easy one poached fig, and some ice cream, terrible average. Expected more WOW factor. + Plenty of wine served! 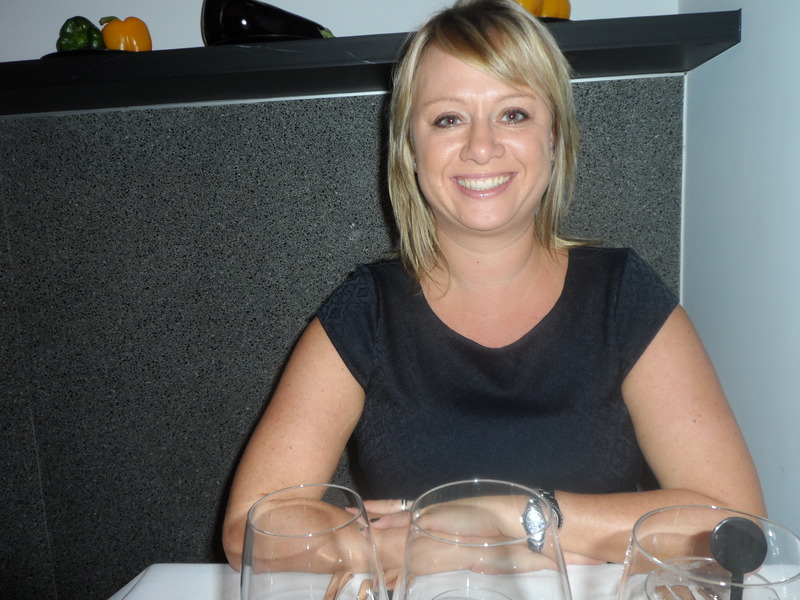 – No still water, but that is what we ordered…. – Glasses smelt like the dish washer…. Coziness: 8.5 out of 10, very unique, some will love it some will hate it, for me it was good! 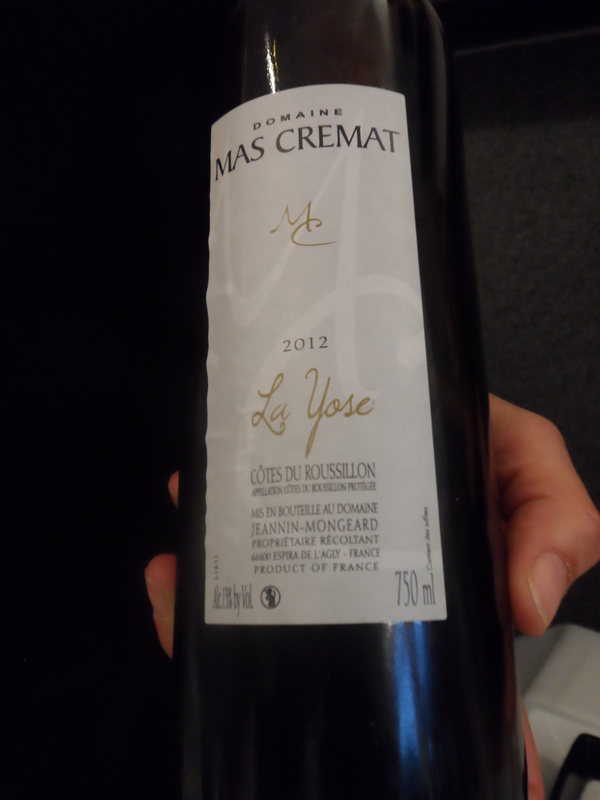 Price: 6.2 out of 10, difficult to say, €110 p.p. is expensive! but it will be okay for some, for me to much for the quality of the food.